This post is sponsored by Oregon’s Mt. Hood Territory but the content and opinions expressed here are my own. Even before sitting down to write Immersing Ourselves at the End of the Oregon Trail. 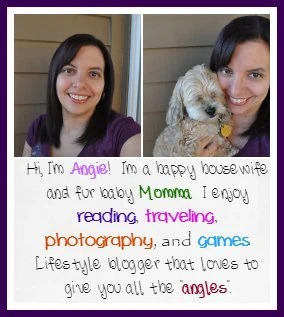 I knew that I was going to be writing more than one post about our fun adventures. There was just too much goodness not to share in more detail and fun photos. 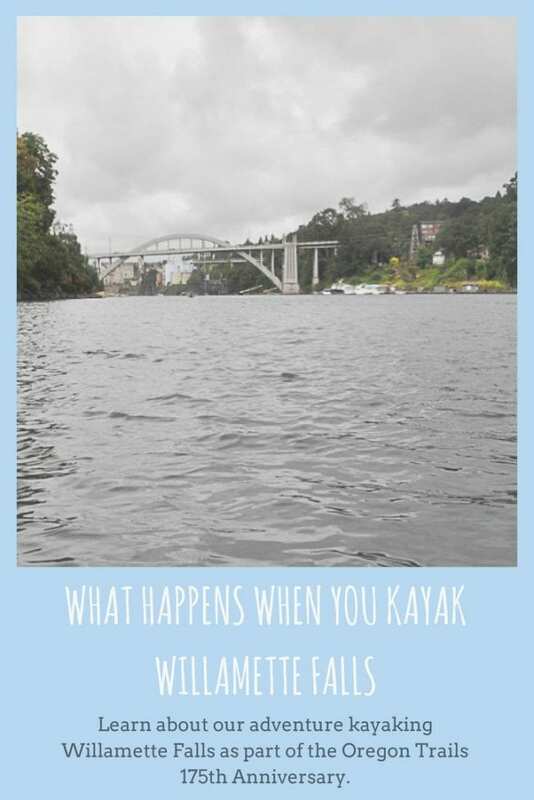 Which is why I am thrilled to be sharing with you all what happens when you kayak Willamette Falls. 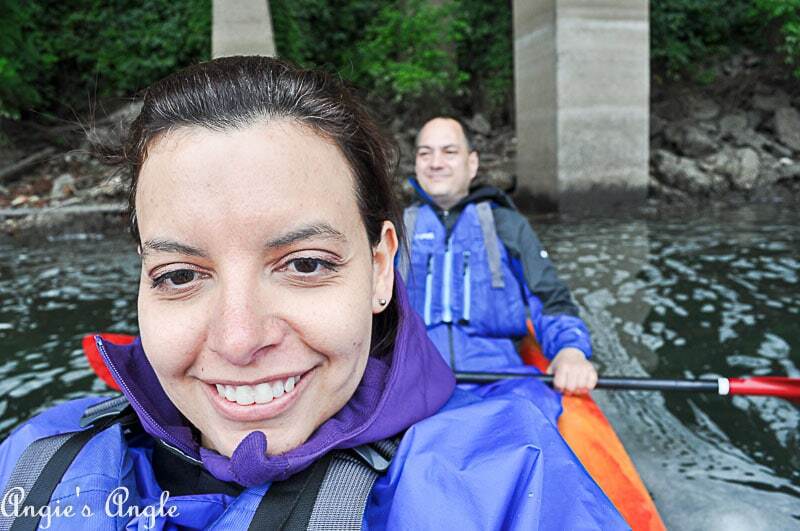 When I first got our itinerary for the fun-filled weekend, I gasped at seeing we were going kayaking. I have never been and while Jason has talked a long time about getting a kayak, he had never been either. But I knew he’d be over the moon excited with our main activity for the trip. 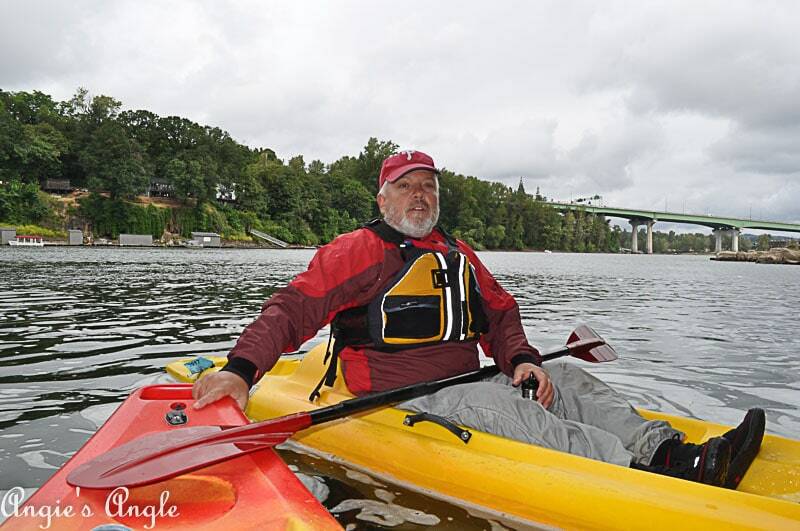 Throughout our days leading up to the trip for Oregon Trails 175th Anniversary, the idea of kayaking was sitting in the back of mind and leaving me a bit restless and filled with anxiety. Not only doing something I have never done before but it was supposed to be a really stormy wet weekend. 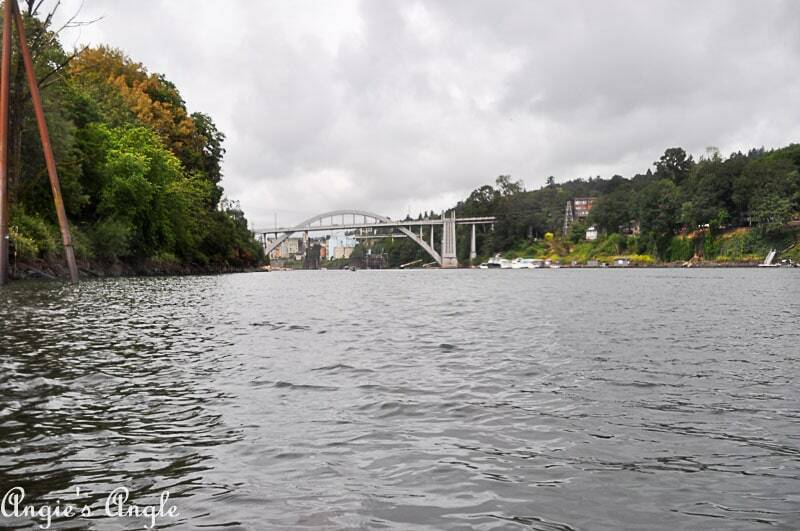 I couldn’t imagine having a lot of fun in the open water with it being wet, cold, and windy. Buying a wet weather protection for my Nikon and grabbing our ponchos, I was prepared for whatever may be and ready to do my best. The day before we had big huge sized hail with some thunder and lightning and downpours. Sunday was supposed to be just as wet but I was hoping for a bit of clear skies with our 10 am tour time. We ate a small breakfast and I stewed over what was coming. While I was also very excited, I was very scared. Arriving at eNRG Kayaking and finally finding the opening to get down to the building to start our tour, heart hammering the whole time. We were warmly welcomed by two guys and no one else in the building. Quickly signing away our lives in case something were to happen to us and they wouldn’t be at fault. We were loaded up into wet gear (didn’t need the ponchos) and personal floation devices. My trusty Nikon strapped around my neck in its wet gear protection and still wondering how I was going to use the thing in the bag. We were ready to sail, so to speak. 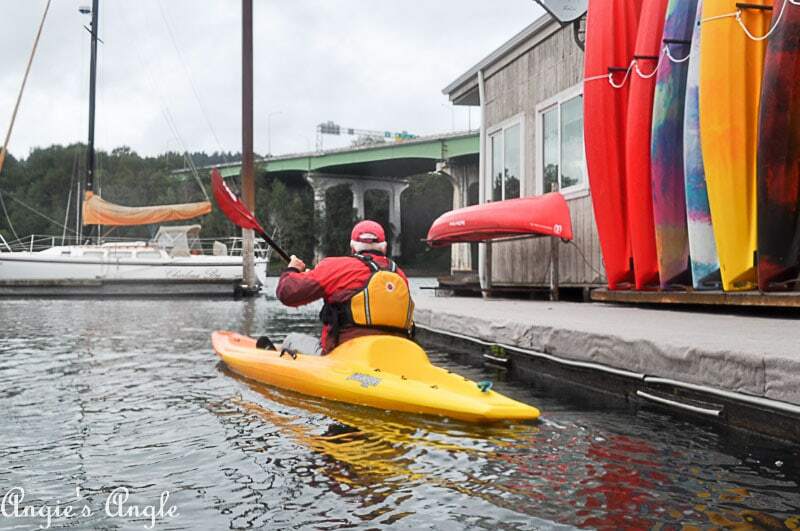 Our modern pioneer, Kurt Doettger, manager of eNRG Kayaking, asked us if we’d rather use a tandem kayak or a single person one. I quickly piped in tandem, please! I must note, as soon as we walked in and so warmly welcomed, my nerves started to disappear. It helped we were the only ones on the tour too. Walking us out to load up into the tandem kayak, which was fairly simple, and Kurt going around to load up into his single one. 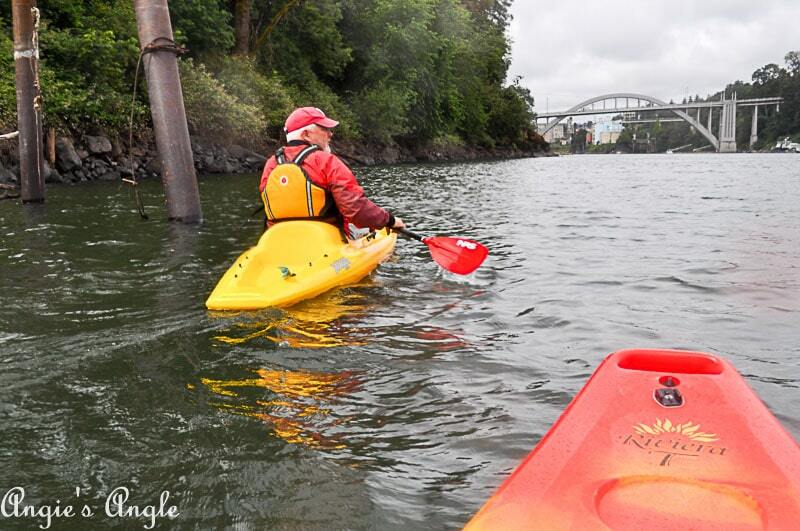 We were ready to head out into the Willamette. Kurt was patient and kind showing us how to steer and paddle. Thankfully Jason was listening more than I was at the directions because I was trying to take everything in and playing with my camera to make sure I could use it. 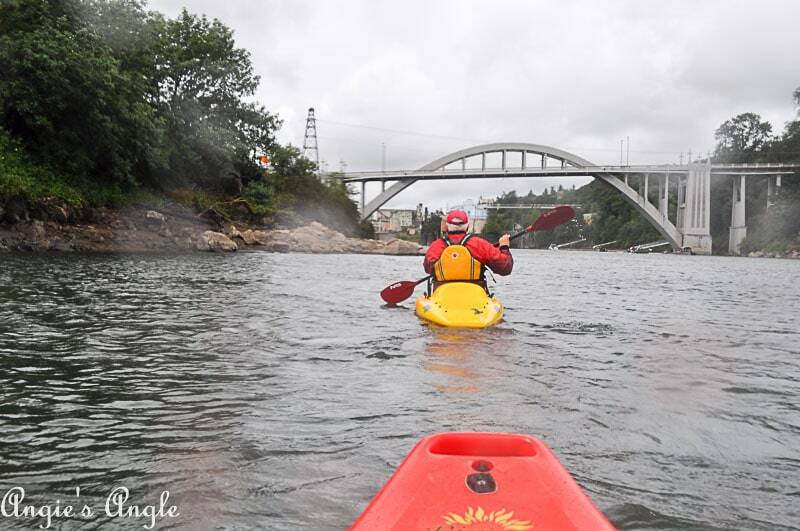 We were off, easily coasting up towards the main portion of the Willamette. Slowly and happily making our way, I found I was completely content and not nervous at all once we were in the water. Paddling though was a whole other issue. 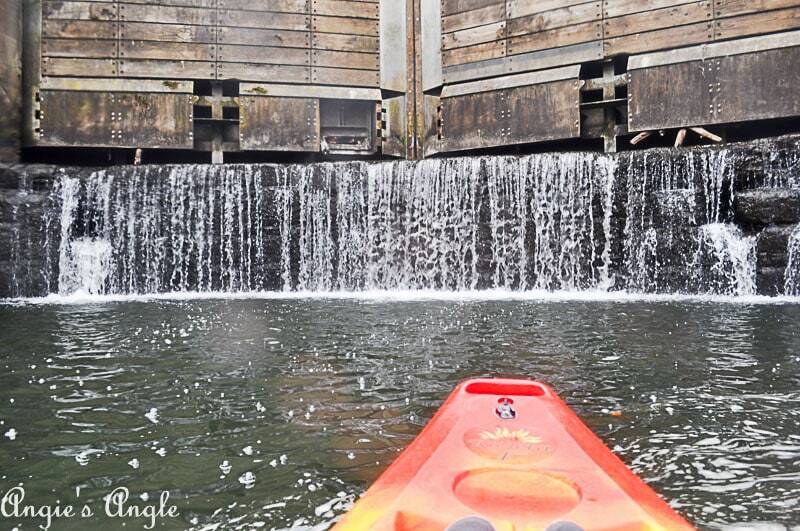 For whatever reason, I could not get down paddling on my left. Doing just fine and dandy on my right but as soon as I would flip to that left I lost all thought of what the heck I was doing. Happily, Jason paddled most of the way and I was able to just sit and take it all in while trying to get photos. Randomly I would try and paddle again and sometimes I’d do just fine. But that darn left side was not my friend. Kurt was a great guide. Mostly staying in the lead and letting us fall behind, letting us do our pace and time. He would stop and let us in on little tidbits of history about Oregon City and pointing out the amazing birds that were flying over our heads. We saw blue herons and osprey but my camera wouldn’t focus well and sometimes just decided it didn’t want to take a picture period. Also, spotting a tiny little solo baby duck that a crow was trying to get for its breakfast. Thankfully the whole time we watched the baby duck would duck away from it and evade it, hopefully, it stayed evading it. A few times Kurt stopped beside us and pointed out local history of the Oregon Trail and John McLoughlin. One time after I had changed my camera battery, yes I should have just changed it before our adventure. He was holding the corner of our kayak steady for us and I was able to get a decent video of him telling us a little bit of the local history and area. 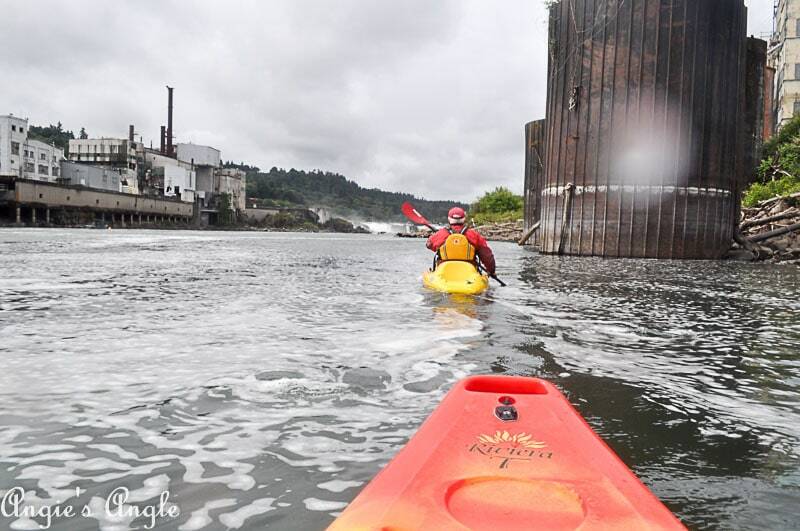 Coasting down to the main part of the Willamette Falls Locks. 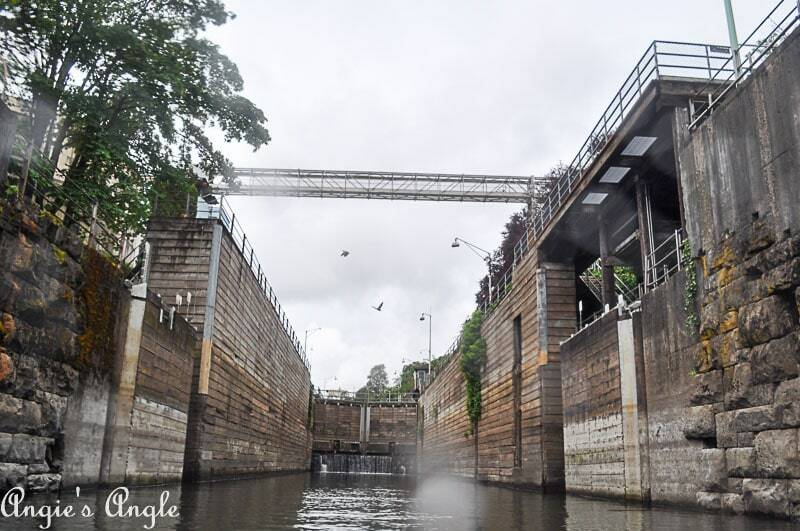 Being a great guide by telling us a bit about the locks how they were built. Also about the flooding that can happen. 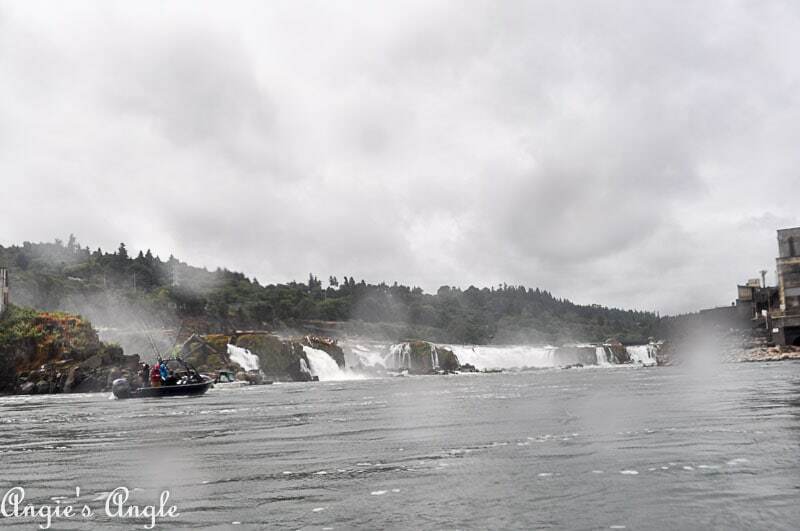 While turning down a bit more to get pretty close to the main portion of Willamette Falls. We turned and headed back the way we came. 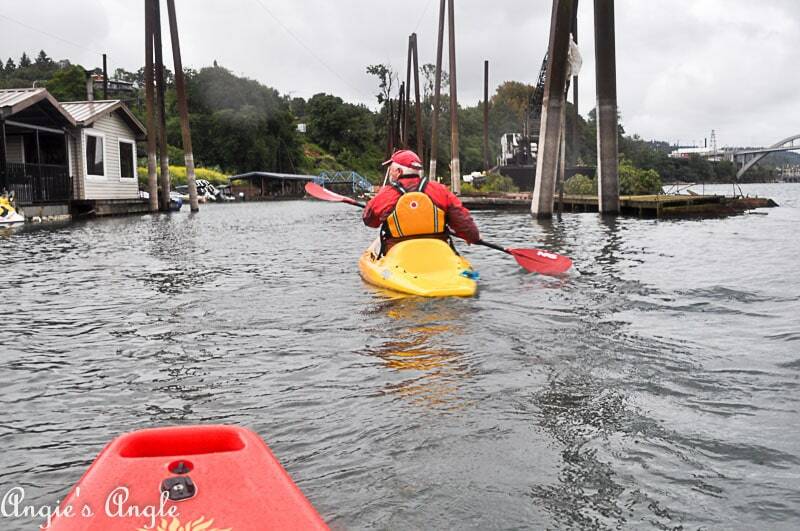 We had such an amazing journey to kayak Willamette Falls. It only sprinkled a tiny bit here and there, which you can tell on some of my photos & the video I shared. But it was so peaceful and relaxing. In fact, we enjoyed our time so much that we are looking into buying our own kayak for future adventures. Find out more about the Oregon Trail and what adventures you can have!